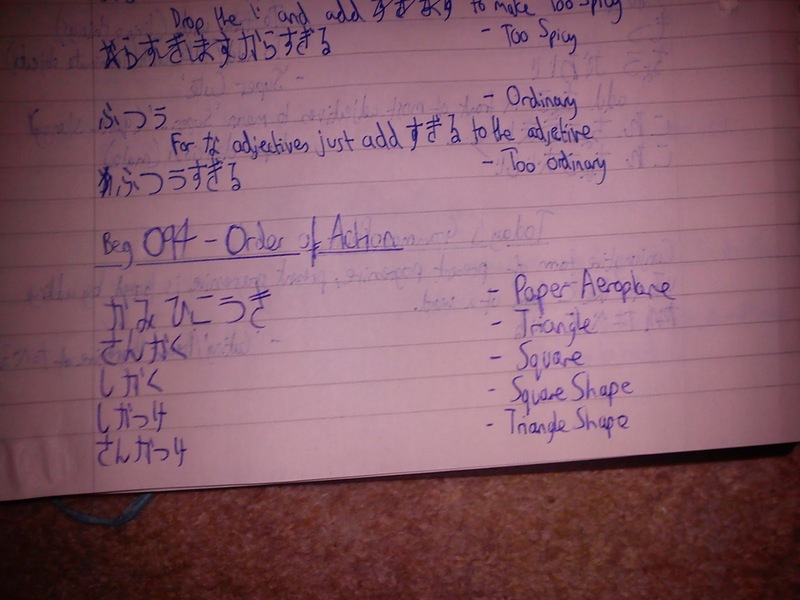 As you can no doubt tell, I have FINALLY got around to installing Japanese on my new laptop. It was actually a little easier on Windows 7 than previous operating systems, and a whole less painful than installing it on the Blackberry i used to own (you had to wipe the standard OS and install a custom 'East Asia' version instead, which was really buggy and kept wiping the OS from itself....). That problem is now solved though, as the Sony Ericsson Xperia X10 Mini Pro i now own was unbelievably easy, and i can see why people buy Android phones because of it. Anyway, seeing as i am getting a little off topic, it's time for a quick post of today's studies before i hit the sack. I didn't get to study during the day as i had a LONG meeting at work that went over my usual lunchtime, and once it had finished i couldnt concentrate as well as i needed to study, so instead i completed my studies at home in the evening. 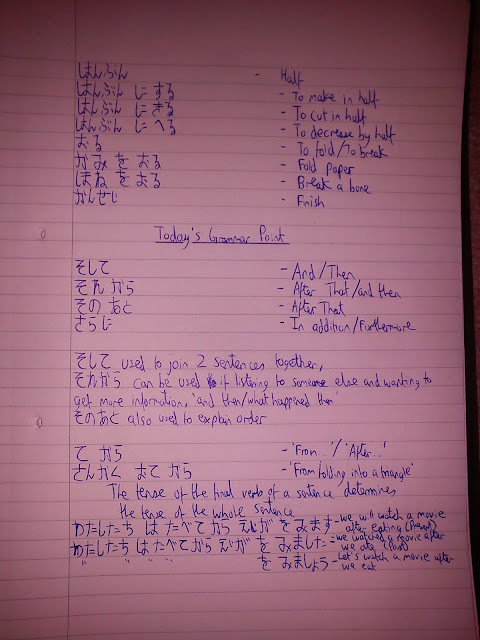 I spent about 45mins revising old lessons, and about 30mins after that studying the newest lesson. Today's lesson was about a teacher showing his class how to make a paper aeroplane (かみひこうき / KamiHikouki). The major points of this lesson were directions, e.g. 'after this', 'and then', 'fold' etc. 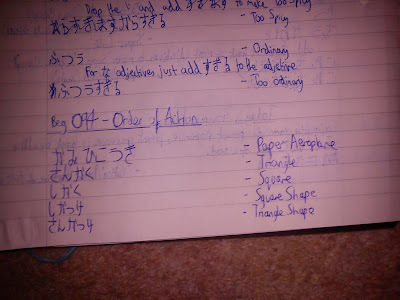 Another interesting point, that i assume at this moment in time is applicable to all shapes, is that the word for triangle and square are almost identical except for the number at the beginning of the word, as triangle is さんかけ and square is しかけ. Therefore, i am assuming at the moment that a pentagon would 5 at the beginning etc. Well, as i am babbling a little bit now, here are the pictures from today's lesson.